Mike Austin often spoke to me about Babe Ruth. This guy wasn’t call the “Sultan of Swat” for nothing. He’d shift his weight to the back foot and then shift it to the front. 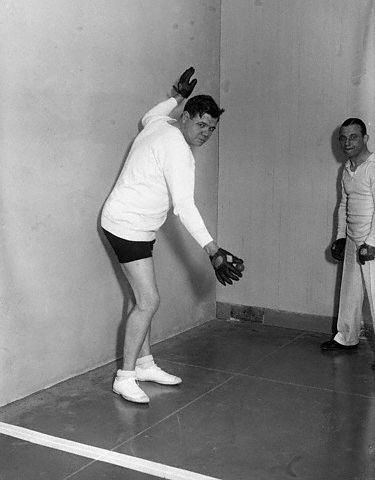 Here’s the Babe playing hand ball. Look familiar? He’s certainly not keeping both legs flexed and twisting his upper body against his lower body. This entry was posted in Uncategorized and tagged 515 yard drive, Austinology, Mike Austin, Mike Austin's secrets, swing speed by . Bookmark the permalink.